Looks like some McLaren owners saw the exposed carbon fiber on the MSO McLaren P1 from this year’s Geneva Motor show and started drooling. 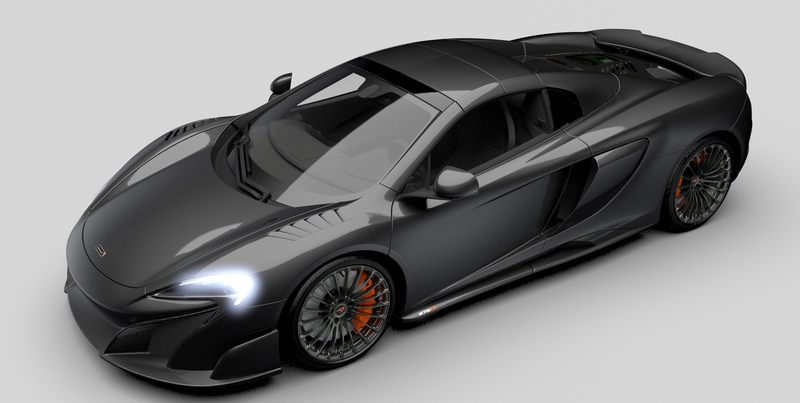 So McLaren’s Special Operations division has responded by carbon-fibering the crap out of 25 675LT Spiders. Those highfalutin folks are apparently clamoring for some naked carbon fiber, so McLaren Special Ops has just released the MSO Carbon Series LT.
Basically, MSO took the 675LT Spider’s carbon fiber body parts—like the front bumper, side skirts, rear fenders, rear bumper and air brake—ditched the paint and just sprayed on a gloss finish to show that tasty carbon fiber weave. More importantly, the special MSO Carbon Series LT gets 40 percent more carbon fiber than the plebeian model, including things like the power roof, A-pillars, hood, rear deck, side blades, front and rear wings and fuel filler cap. The entire exterior of the car looks like a giant chunk of gloss-finished carbon fiber; it’s absolutely stunning. [designing the MSO Carbon Series LT required] significant additional development work by the team of MSO craftsmen. It is therefore not possible to retro-fit the gloss carbon fibre body to an already ordered 675LT Spider. That’s great, because the last thing you want is some poor Ramen-eating, Craigslist-surfing McLaren 675LT owner to modify his car to look like yours. You’re special, and they’re beneath you. The powertrain is still the 666 horsepower twin-turbo V8 found in the standard 675LT Spider, and 0-60 times are still somewhere around 2.9 seconds. But nobody will know that—all they’ll see is that your car glistens in beautiful carbon fiber, and theirs does not.